Grissin Bon Reggio Emilia announced a new agreement with shooting guard Rimantas Kaukenas to keep working together next season, the club announced Saturday. Kaukenas (1.92 meters, 38 years old) joined Reggio Emilia in December 2013. He averaged 9.4 points and 3 assists in 5 Eurocup games last season. He boosted his scoring average to 11.4 points in 41 Italian League games, helping his team reach the final. 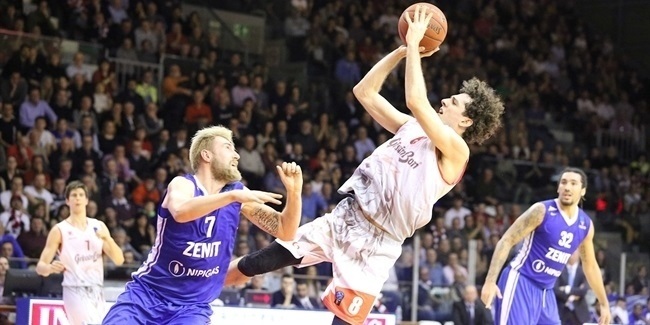 Kaukenas helped Reggio Emilia win the EuroChallenge title in 2014. Kaukenas left Lithuania as a teenager to play in the United States and spent four seasons at Seton Hall University before turning pro in Europe with Hapoel Galil Elyon of Israel. Next, he returned to his hometown, the Lithuanian capital of Vilnius, to play for Lietuvos Rytas before single seasons with Ostend of Belgium and Telekom Baskets Bonn of Germany. Italy became his second home, first with a season in Pallacanestro Cantu, and then six of the next seven in Siena, where he helped Montepaschi create the longest-running dynasty in Italian League history. He also spent the 2009-10 season with Real Madrid of Spain, but returned to Siena for two more years. Kaukenas also played for Zalgiris Kaunas of Lithuania and Laboral Kutxa Vitoria Gasteiz of Spain before joining Reggio Emilia. He won two Lithuanian League titles - with Rytas in 2002 and Zalgiris in 2013. He also lifted the NEBL League title with Rytas in 2002. Kaukenas helped Montepaschi won four Italian League and three Italian Cup titles with Montepaschi, reaching the Turkish Airlines Euroleague Final Four with that club in 2008 and 2011. Kaukenas has also been a member of the Lithuanian national team, helping it win a bronze medal at EuroBasket 2007. 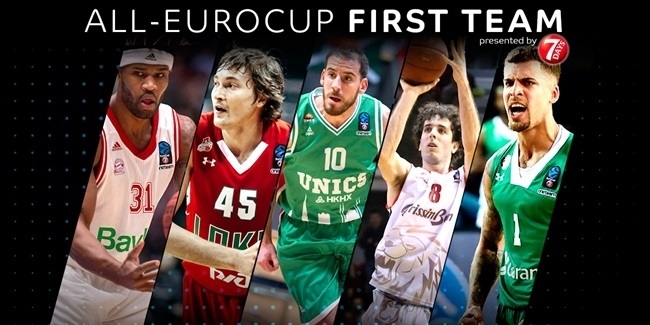 The five players selected to the 2017-18 All-7DAYS EuroCup First Team each blended brilliant individual campaigns with team success. 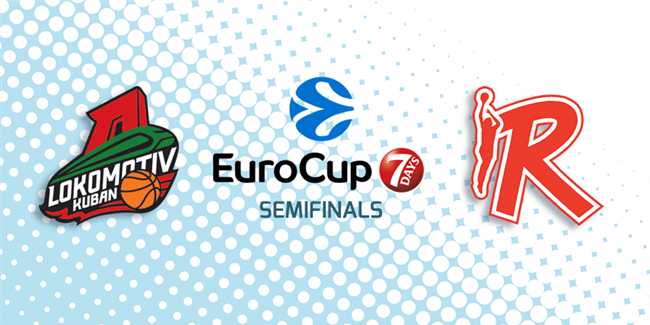 Lokomotiv Kuban Krasnodar and Grissin Bon Reggio Emilia face each other for the first time ever in the 7DAYS EuroCup Semifinals.